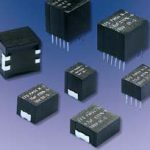 Categories: Avionics, Defence, Passive Components, Capacitors, Ceramic Capacitors, High Temperature Brand: Exxelia SAS [Technologies]. • selfprotected radial leads class 1 and 2 (TCE / TCN 212 to 216) and radial leads class 1 and 2 (TCE / TCN 263). • high capacitance value CNC 253 to 255 (N for leaded and P for SMT). They are highly recommended for operation at temperatures of up to 200°C. 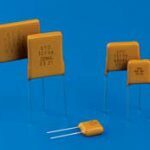 Capacitors specifically designed for higher operating temperatures (e.g. 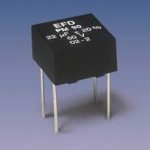 TCE / TCN 212 to 216 and TCE / TCN 263 to 266) are also available. 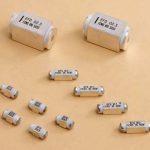 High temperature capacitors are made of class 1 or class 2 ceramic dielectrics featuring special compositions based upon high purity oxides to reduce ionic conduction inherent to the presence of atoms such as sodium. In addition, all quality controls carried out at intermediate and final production stages (lot acceptance test under 0.5 URC and insulation resistance measurement at 200°C) are the assurance of enhanced reliability.